I adore pickled onion and let's be honest you don't always have the time to soak them in brine for a week, pickle them and let them sit for 6-8 weeks before you enjoy them. Sometimes you want instant satisfaction. So if you are ever craving pickled onion and want to be able to enjoy within the hour, this recipe is perfect for you. Bring vinegar, wine, sugar and salt to a boil in a pan. 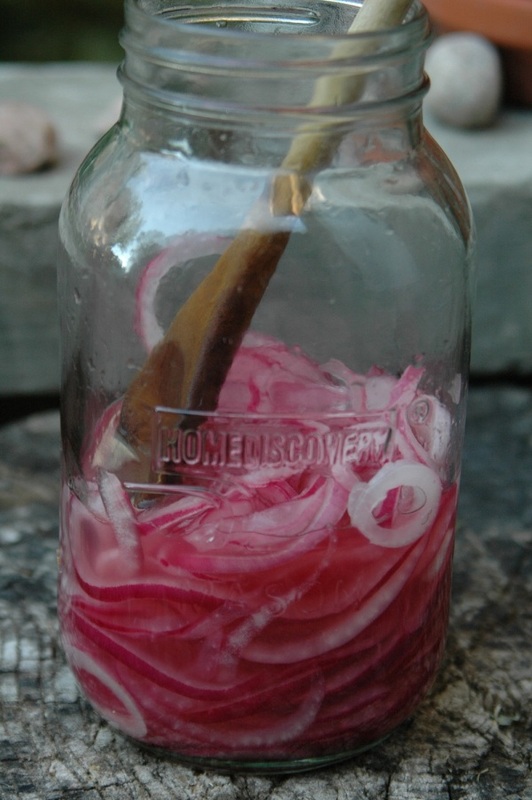 Place the sliced onion in a jar and add brine. Cover for 20 minutes and then serve. Serve them on a burger, taco, in a salad, etc. You will find no shortage of uses. ENJOY!